Looking for Hard Duty Use replacement base pads for your SIG Sauer® P320? 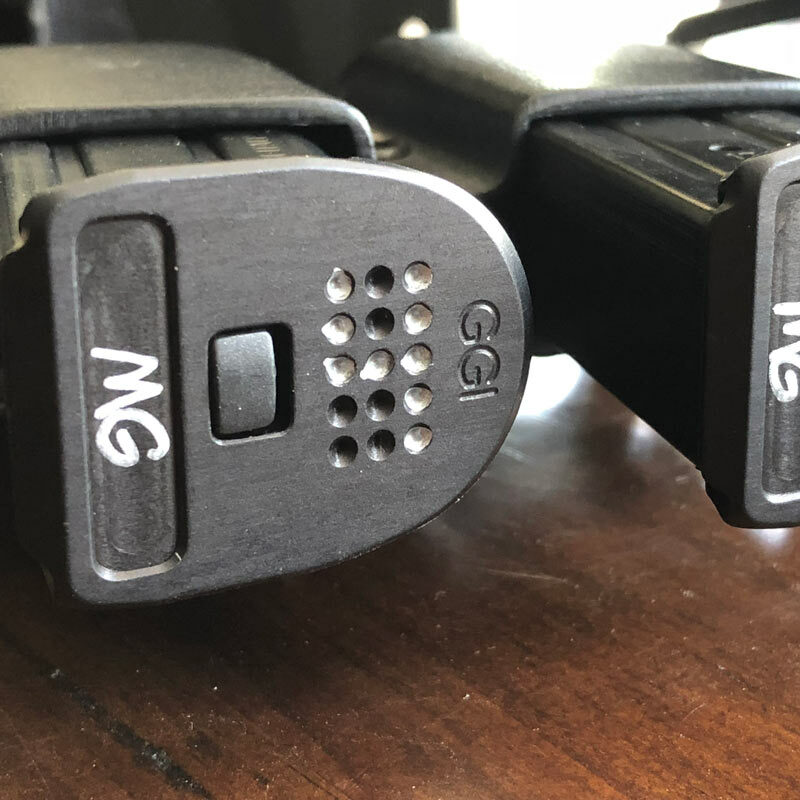 These custom Grayguns HDU pads have been built for military and law enforcement use. Designed by Mike Grasso and our LE Team to be repeatedly dropped on concrete or asphalt hundreds of times, they are a perfect upgrade for the OEM plastic base pads. Also appropriate for competition and shooting enthusiasts looking for a quality, durable upgrade. Backwards compatible with all versions of P320 modules, including the standard and xSeries with or without the extended magwell installed. 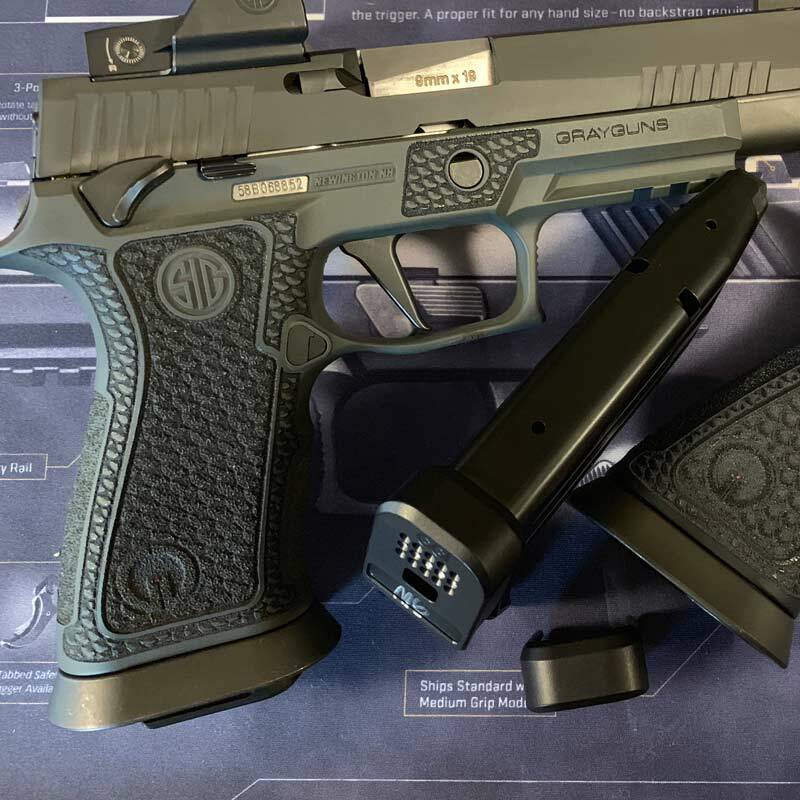 Standard Version – Designed for the XSeries without the magwell. Also works with the P320 module. Extended Magwell Version – Designed for the full-size magazine in a XSeries with the magwell. Also works with 21-round magazines and fits the standard P320. 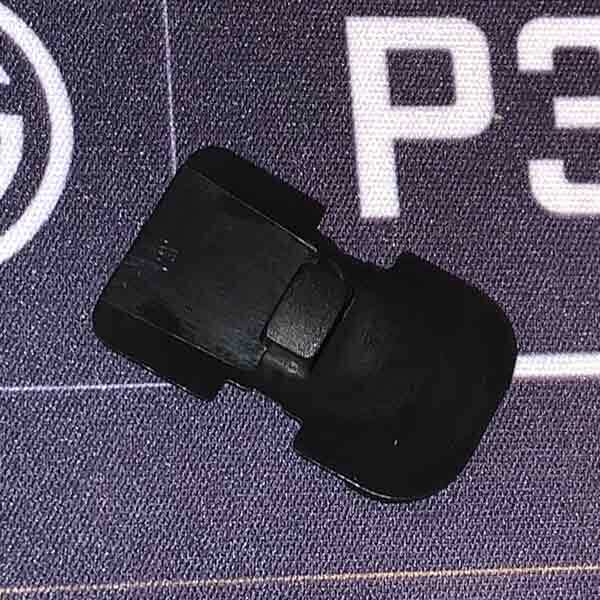 Base pads are compatible with new SIG P320 magazines with the square pegs. Do you have the base plates with the round peg? 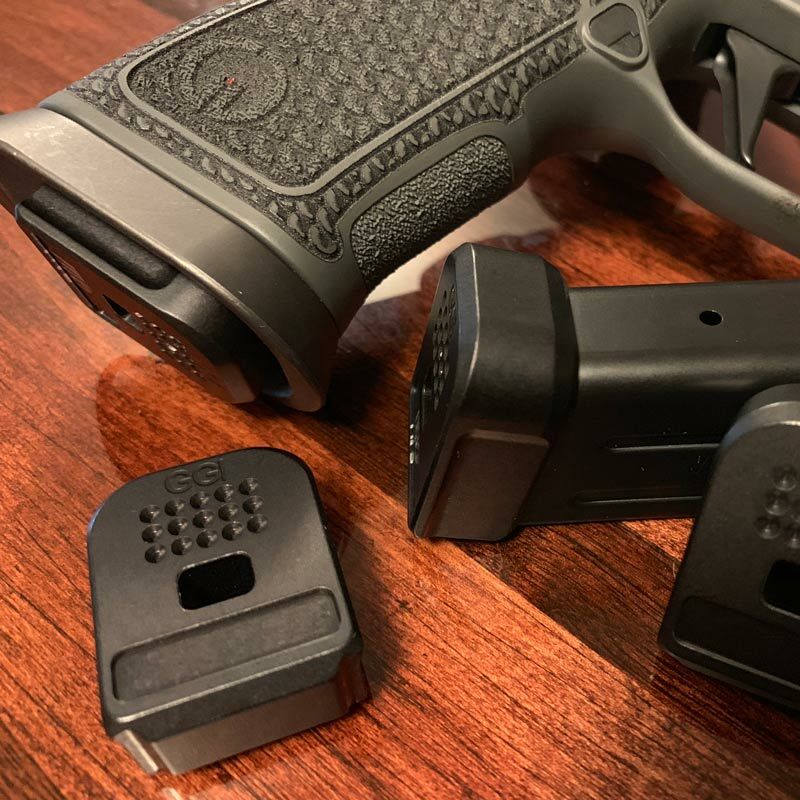 If yes, you’ll need to purchase a P320 Inner Base Plate – Square Peg for each of your magazines. Discount available when you buy three or more base pads! ($15 each instead of $18 each.) The discount is shown in the cart prior to checkout. If you've purchased - or would like to purchase - our SIG Suaer® P320 Hard Duty Base Pads, and have the old style inner base plate with the round peg, you'll need these inner base plates with the square peg. Installation is easy, and requires no special tools. Designed for hard-duty use. Our custom Grayguns SIG Sauer P320 magazine base pads are manufactured from 6061 Aluminum. Professionally finished with MIL-A-8625 Type III anodized coating. Pads go through a glass-beading process to provide a flat-black finish. The base pad is the same thickness as the OEM SIG base pad. We’ve streamlined them in multiple areas. 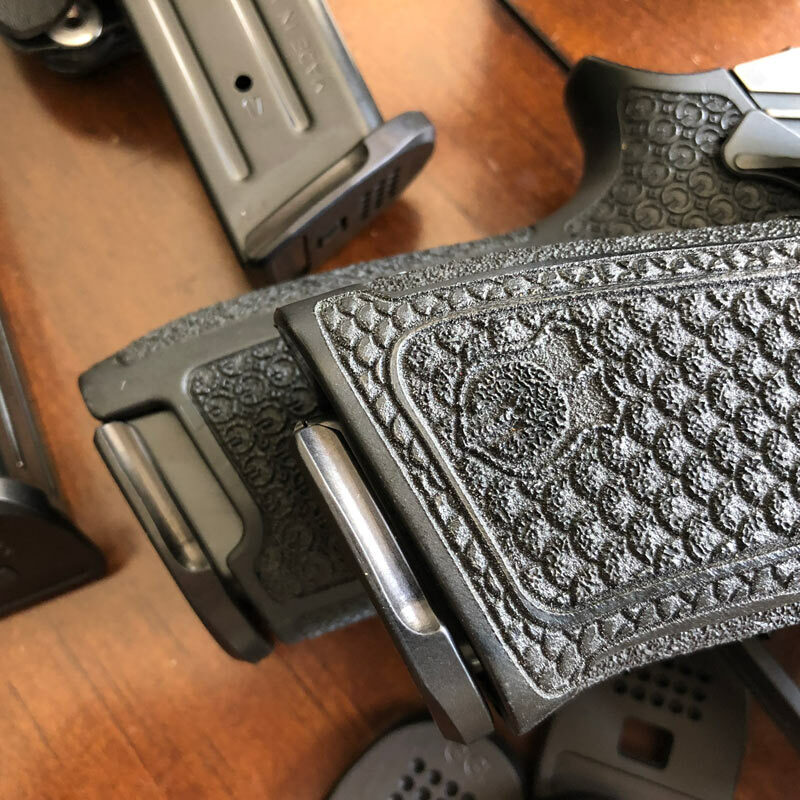 A relief cut on the sides enhances malfunction drills, and allows for effective one-handed reloads using the belt or holster. The cut mirrors the normal P320 module’s and creates a cut for the xSeries modules. Each pad features a 3-by-5 matrix. Number your mags using a Sharpie or paint pen. Additional space is available to write your initials. 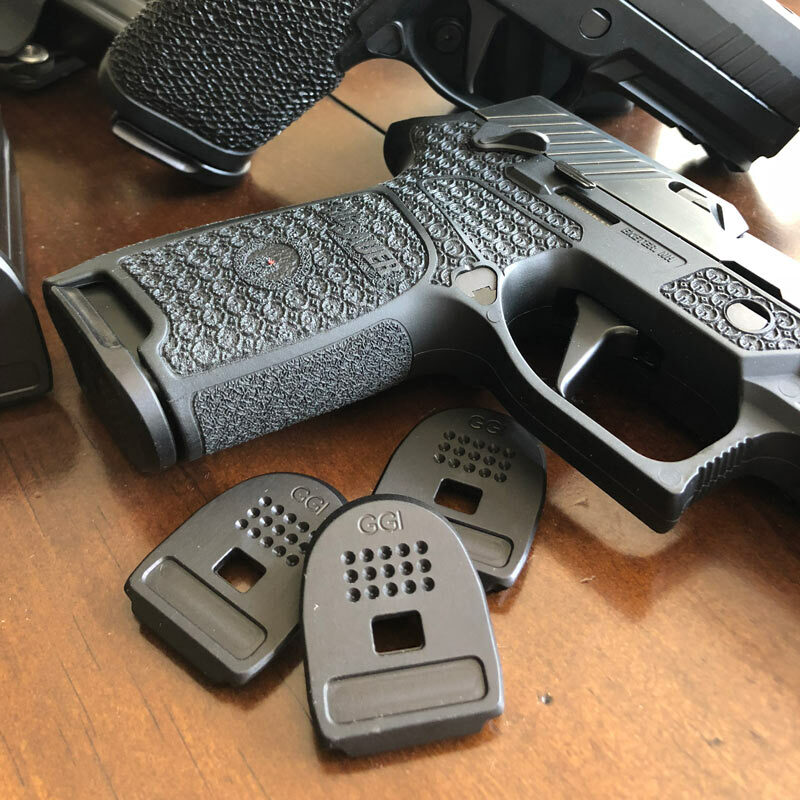 Our base pads are compatible with both our P320 xSeries Laser-Sculpted Grip Module, our xCompact Grip Module and our P320 Module with Textured Competition Grip. 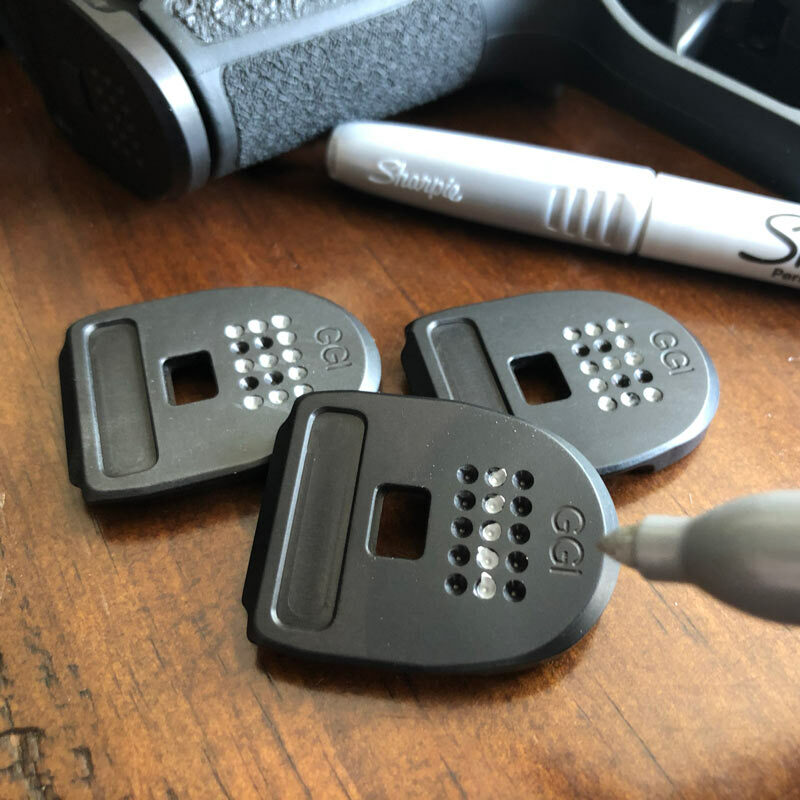 Base pads are compatible with new SIG P320 magazines with the square pegs. (See product photos.) Do you have the base plates with the round peg? 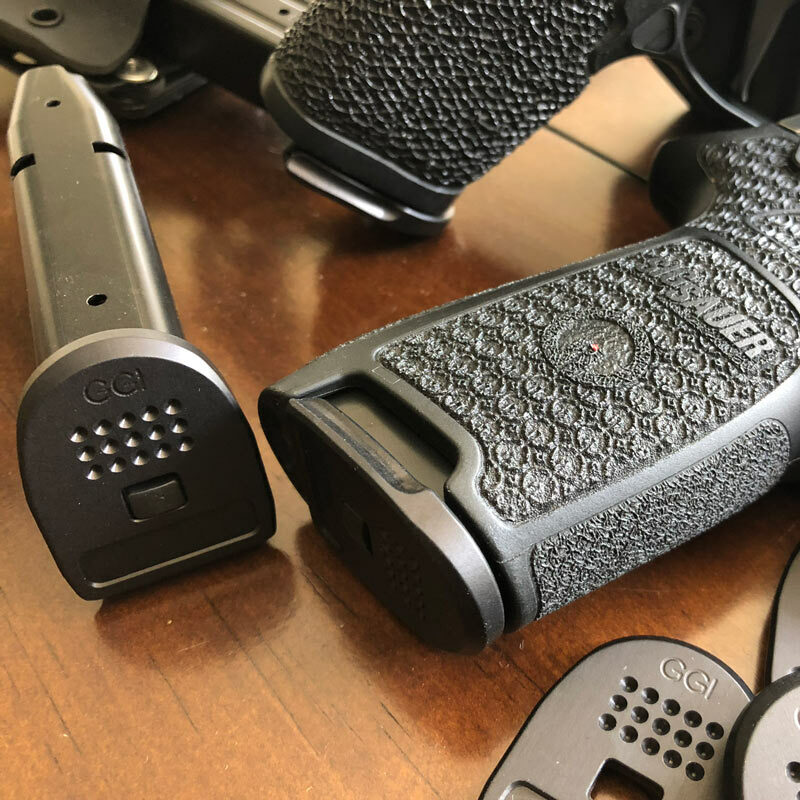 If yes, you’ll need to purchase a P320 Inner Base Plate – Square Peg for each of your magazines. Do not send firearms to this address.